Cyrla's neighbors have begun to whisper. Her cousin, Anneke, is pregnant and has passed the rigorous exams for admission to the Lebensborn, a maternity home for girls carrying German babies. But Anneke's soldier has disappeared, and Lebensborn babies are only ever released to their fathers' custody--or taken away. And then in the space of an afternoon, life falls apart. A note is left under the mat. Someone knows that Cyrla, sent for safekeeping with her Dutch relatives, is Jewish. She must choose between certain discovery in her cousin's home and taking Anneke's place in the Lebensborn--Cyrla and Anneke are nearly identical. If she takes refuge in the enemy's lair, can Cyrla escape before they discover she is not who she claims? 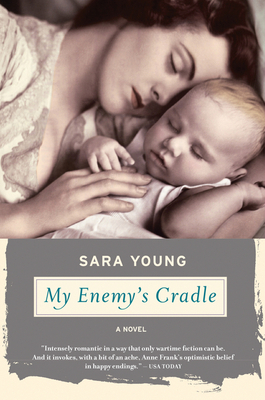 Mining a lost piece of history, Sara Young takes us deep into the lives of women living in the worst of times. Part love story and part elegy for the terrible choices we must often make to survive, My Enemy's Cradle keens for what we lose in war and sings for the hope we sometimes find. Under the name Sara Pennypacker, SARA YOUNG has written seven books for children, including the acclaimed Stuart series (Stuart’s Cape) and Clementine. She lives on Cape Cod.